Details: David Griggs was in need of a complete website portfolio redesign. 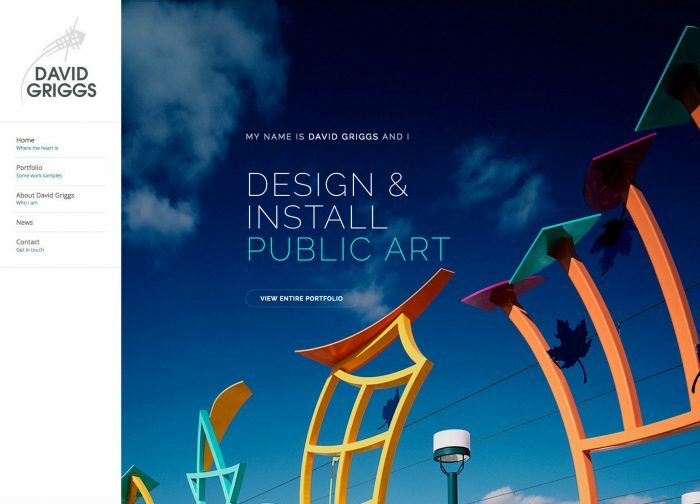 I moved him over to wordpress and implemented a full width responsive design that leverages the incredible beauty of his public art installations. I highly encourage you to take a look at his work. His public and private art designs and installations are some of the most beautiful I have seen. They transform and uplift the spaces they exist in!